KDE 4.10 is released! It has lot cool new stuffs including the improvements in Plasma workspaces, new widgets built on Qt Quick, better stability, ease of use and performance. Now, the wallpaper engine is based on QML (easier to create and more secure). KDE is one of the most popular Window Manager /Desktop among GNU/Linux users. For KDE lovers there is a dedicated version of Ubuntu – called as Kubuntu, which nothing but the core Ubuntu with KDE packages and desktop. If you’ve installed Ubuntu 12.04 LTS (which comes with Unity by default), and got bored with Unity or Gnome Shell – then KDE is probably the best option for you. It’s simple, elegant, easy and comes with the bundle of cool applications. KDE is recommended for beginners (who have migrated from Windows) – because it looks somewhat similar to Windows. 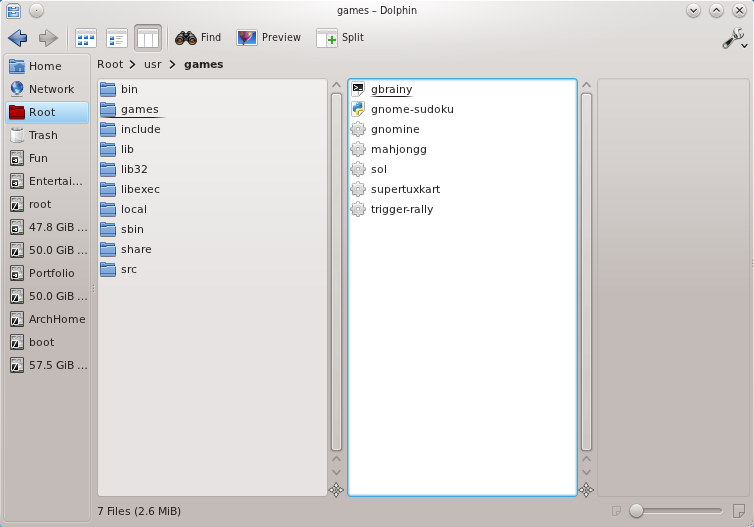 Some of the most popular applications you would get with KDE bundle are – Dolphin File Browser (Lightweight and fast), Konqueror browser, Cool looking Plasma Desktop/Oxygen Themes, Kmail (Default Email Client for KDE desktop), Kate (text editor, like gedit), K3b (best disc burning application) etc. That’s All, Now you can logout from the current session and select KDE on the Login Prompt to start enjoying the Kool Desktop Environment (KDE). KDE Desktop is one of the most popular and widely used – cool desktop for GNU/Linux based operating systems such as Ubuntu, Fedora, Linux Mint, Debian, OpenSuse (it uses KDE as the default desktop) etc. In fact, it is second most popular Desktop – after GNOME (KDE is more popular than Unity, source : Gnome vs Unity vs KDE Poll, where Gnome scored 714, KDE 458 and Unity was at third position with 239 votes). Ubuntu uses Unity desktop by default but KDE edition of Ubuntu i.e Kubuntu comes along with the each new release of Ubuntu. In Ubuntu 11.10, if you don’t like Unity or Gnome shell then KDE is the best option available for you. KDE desktop is very eye pleasant and easy to use environment (specially for those coming from Windows * (xp, 7..) world) , and it has improved in a consistent manner (unlike Gnome 3). Cool KDE icons, wallpapers and eye catching widgets will make you a fan of it. KDE Plasma Desktop has not only charming look but also a bundle of cool applications such as Konqueror (Web browser like Firefox, Google Chrome; but Konqueror is very simple and easy to use), Dolphin (File Browsing program like Nautilus, Marlin, Thunar), Kmail (Email client like Thunderbird or Evolution), K3b (CD/DVD burning application), Kate (Text Editor like gedit) etc. During installation, you may get an option to configure login manager such as kdm or lightdm (default), so select lightdm if you don’t want to change that. Dolphin File Browser – Looks GREAT, Right? KDE version 4.7 RC released today! 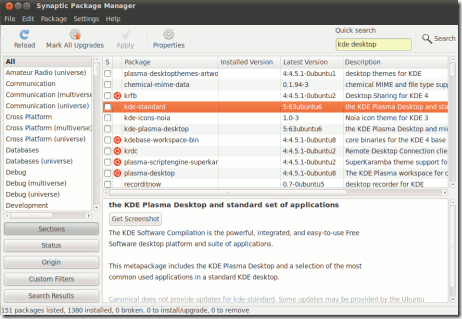 KDE Plasma Desktop version 4.7 Release Candidate is out now! 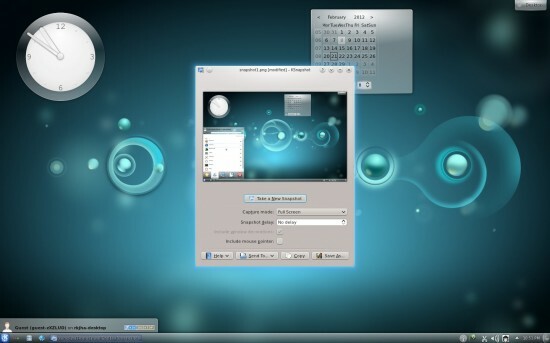 it’s the first RC of the KDE 4.7, which is planned to release on July 27, 2011. KDE or K Desktop Environment is another popular open source window manager, platform and suite of awesome applications, similar to Gnome. KDE is based on Qt Framework. 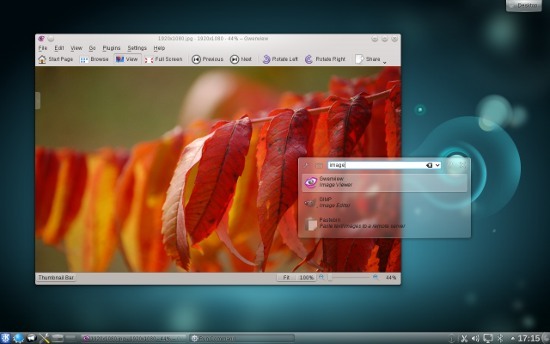 If you are using Linux based system such as OpenSuse, then you must have enjoyed the cool and charming – KDE Desktop. it focuses on simplicity, it’s little heavier than other desktop Environment such as Gnome or XFCE, despite of that – users like it. 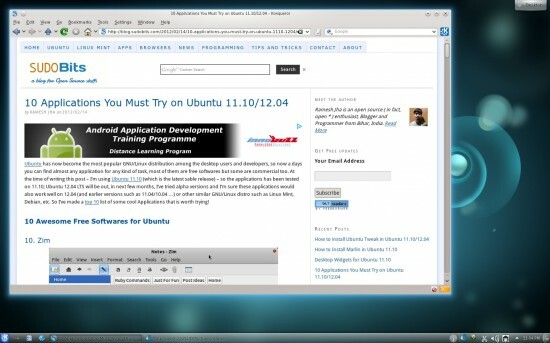 I do use KDE with Ubuntu 10.10 (Maverick Meerkat). The new version of KDE, has arrived with a lot of exciting features (and of course a lot of bugs got fixed in this version). Kwin, the plasma’s window manager – which supports openGL ES 2.0, it will increase the performance on mobile devices. Marble, the Virtual Globe is more useful for mobile devices due to features such as offline Address search. 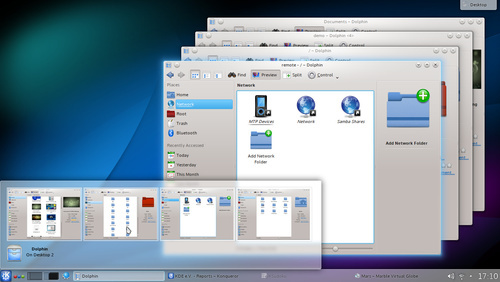 KDE ( K – Desktop Environment) is one of the most popular open source (KDE is released under LGPL) Desktop preferred by a vast majority of Linux users. Ubuntu releases special – dedicated edition with KDE desktop and named as – KUbuntu. KDE is free for all users, it doesn’t only provides the Desktop environment but also a lot of useful KDE based applications. KDE is based on Qt Framework. The latest version is 4.6. Canonical has made Unity, the default desktop in Ubuntu 11.04 (Natty Narwhal), and a lot of Ubuntu fans are upset about this, because They wanted to use GNOME 3.0 instead of Unity. Unfortunately the stable PPA isn’t available currently (Although in next version of Ubuntu, i.e 11.10, Gnome 3.0 will be installed by default) although you can install Gnome 3.0 Desktop/shell on Ubuntu 11.04 through PPA (Unstable), which will break the Unity; so it’s not recommended in general. In this article, you will learn how to install KDE 4.6 desktop on Ubuntu 11.04, from command Line or Synaptic Package Manager. A lot of popular Distribution uses KDE – e.g Open Suse, Linux Mint, Backtrack 4 (A dedicated Linux desktop for cyber security professionals or Ethical Hackers). #1 : Open Synaptic Package Manager and search for ‘kde desktop’, then select the package(by checking the small square box) you want to install – KDE base or minimal or full depending on your need.If you also want to try some KDE Apps, then try full or just select standard package. #2 : Then click on Apply button to begin installation procedure and …Wait for the installation to complete. Now, if you want to use KDE desktop, then logout from the current session and select KDE desktop in the login prompt (A menu appears in bottom center for the desktop selection), and login to enjoy.